24 by 24 3/16 in. 61 by 61.4 cm. 8 panels, each: 16 by 16 in. 40.6 by 40.6 cm. 30 1/8 by 24 in. 76.5 by 61 cm. 48 by 42 1/8 in. 121.9 by 107 cm. 38 by 38 in. 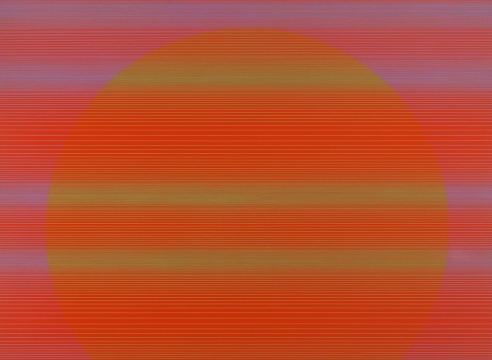 96.5 by 96.5 cm. 60 by 60 in. 152.4 by 152.4 cm. 36 by 36 in. 91.4 by 91.4 cm. 48 by 48 1/8 in. 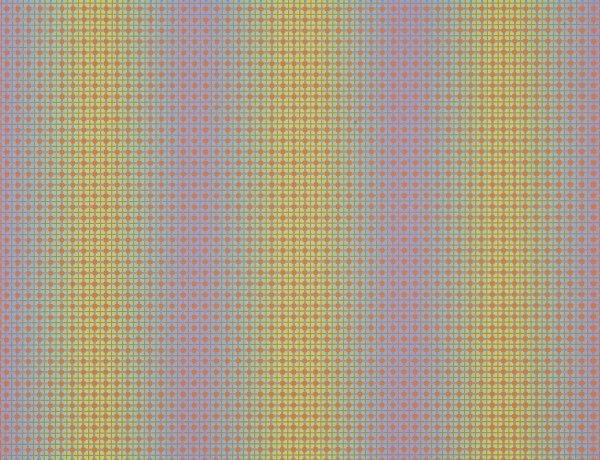 121.9 by 122.2 cm. 48 by 120 in. 121.9 by 304.8 cm. 72 by 72 1/8 in. 182.9 by 183.2 cm. 50 by 60 in. 127 by 152.4 cm. 15 panels, each: 16 by 16 in. 40.64 x 40.64 cm. 24 by 23 3/4 in. 61 by 60.3 cm. Fueled by his own personal history of shifting geography, the perceptual effect of one of Stanczak’s paintings can range from the most subtle, vibrating glow to an electrical, rhythmic oscillation. Stanczak’s reverence for color came from a desire to translate the drama and power of nature into a universal impression. His canvases were created through a complex process of tape masks in which colors were systematically added and unveiled in layers. While incredibly methodical, Stanczak worked alone on his canvases without the aid of preliminary sketches, relying solely on his own vision of a finished work. 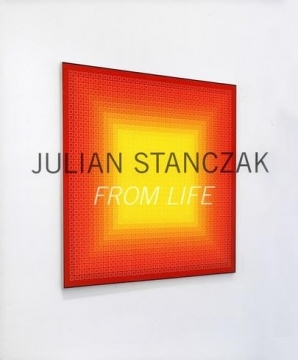 Julian Stanczak was born in Borownica, Poland in 1928 and died in Seven Hills, Ohio in March of 2017. 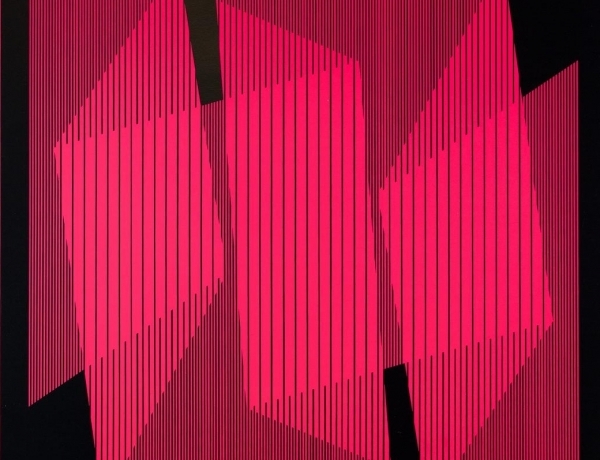 He received his M.F.A from Yale University in 1956, where he studied with Josef Albers and Conrad Marca-Relli. His work has been included in exhibitions in the U.S. and internationally from 1948 to the present day. Important group shows include The Responsive Eye at the Museum of Modern Art, New York, 1965; Paintings in the White House at the Smithsonian Institution, Washington, D.C., 1966; and Ghosts in the Machine at the New Museum, New York, 2012. 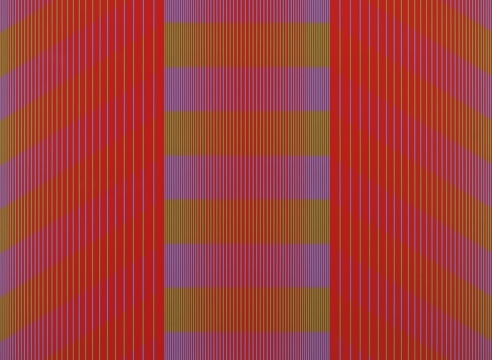 Significant surveys of his work include Julian Stanczak: 50 Year Retrospective, Cleveland Institute of Art, Ohio, 2001; and most recently Line Color Illusion: 40 Years of Collecting Julian Stanczak, Akron Art Museum, Ohio, 2013. His work is included in notable collections such as Albright Knox Art Gallery, Buffalo; the Carnegie Institute, Pittsburgh; the Hirshhorn Museum, Washington, DC; the Museum of Modern Art, New York; and the National Gallery of Art, Washington, DC. All images © Julian Stanczak. 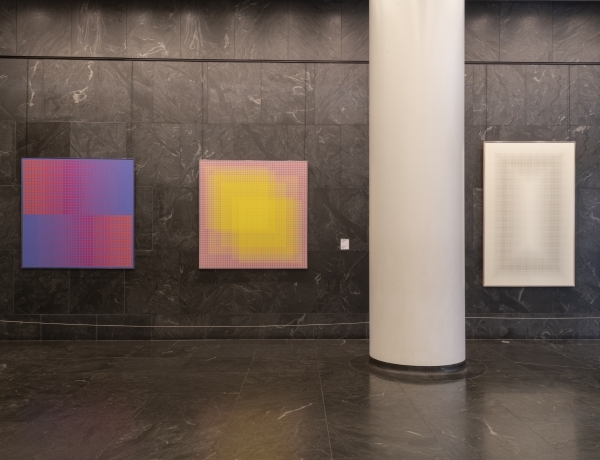 A selection of Julian Stanczak's work is on view in the Lobby Gallery at 499 Park Avenue through September 13, 2019. 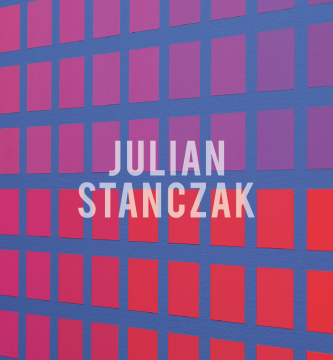 Julian Stanczak is included in Bauhaus and America. 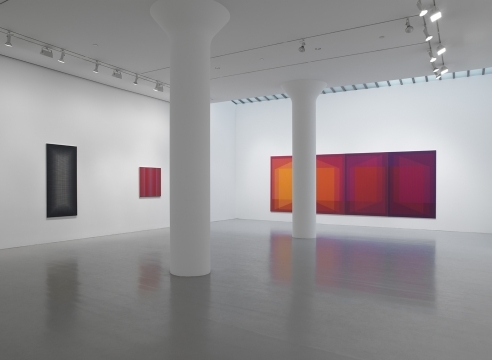 Experiments in Light and Motion, a group exhibition that focuses on artists who, after the Bauhaus was closed in 1933, emigrated to America to carry forward their ideas and experiments there. Julian Stanczak is included in the group exhibition, Bauhus and America, held on the occasion of the 100-year anniversary of the Bauhaus. 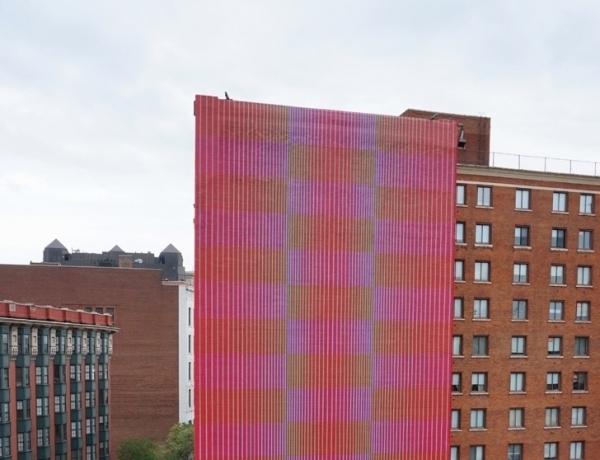 Julian Stanczak and Jessica Stockholder are included in the FRONT International: Cleveland Triennial for Contemporary Art's first edition titled An American City: Eleven Cultural Exercises, running July 14, 2018 through September 30, 2018. 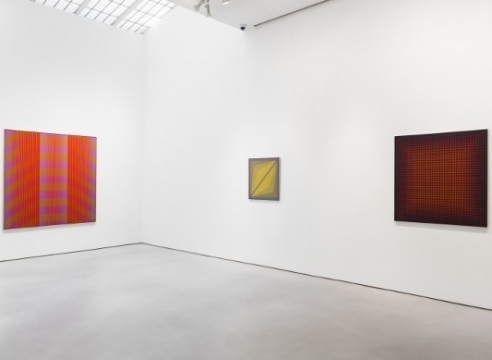 Julian Stanczak is the subject of DUO, a solo exhibition of geometric paintings with a reduced pairing of two colors at Diane Rosenstein in Los Angeles. "It's a special treat to look back at Julian's work from the early 70s — a period of singular fruitfulness and creative reward." 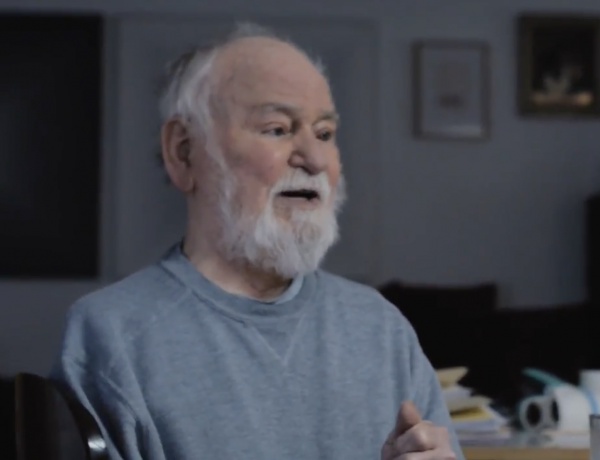 Watch the short documentary titled Harmonies of the Abstract about Julian Stanczak by Vincent Prochoroff. The Museum of Modern Art has reinstalled its fourth-floor collection galleries with works exclusively from the 1960s. Interweaving works from all of MoMA’s curatorial departments and the Museum Archives, this presentation focuses on a decade in which interdisciplinary artistic experimentation flourished, traditional mediums were transformed, and sociopolitical upheaval occurred across the globe. 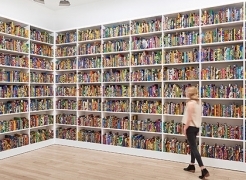 The galleries proceed chronologically, with work installed by year. This organizing principle steps back from the classification of galleries by art historical themes or “isms” and instead aims to provide a variety of fresh discoveries and unexpected connections. The product of a collaborative effort among curators from all departments, the presentation will undergo periodic reinstallations, reflecting the depth and richness of the Museum’s collection and the view that there are countless ways to explore the history of modern art, architecture, design, and the moving image. 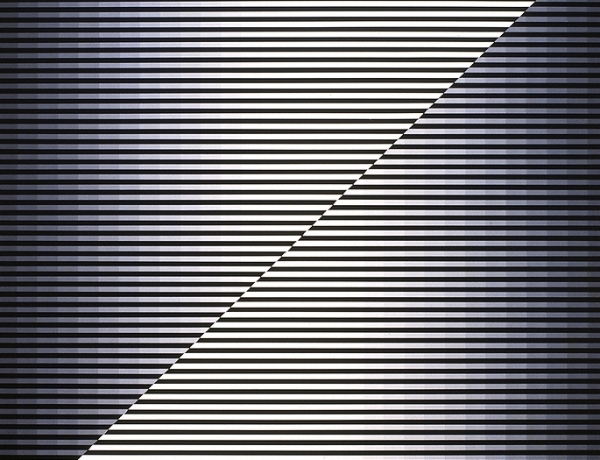 In celebration of fifty year anniversary of William Seitz's "The Responsive Eye"at MoMA, MACBA has organized "Geometric Obsession," bringing together 30 pieces of American abstract art in dialogue with contemporary artists who have continued the Op Art legacy to the present. 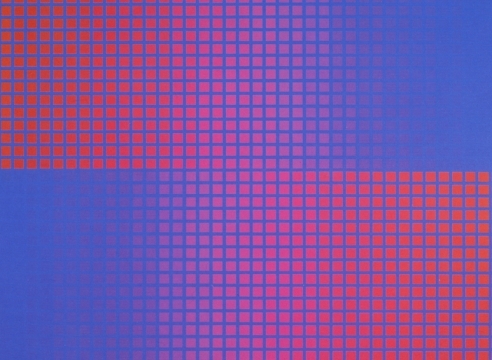 Then, compare and contrast Agnes Martin’s use of contrasting color values with the work of the painter Julian Stanczak, known for his Op Art style that also boldly plays with the eye. 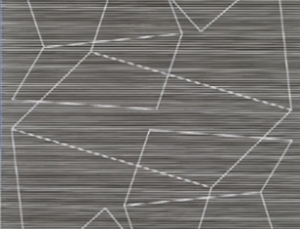 Op Art is a type of visual art that creates optical illusions. FRONT International: Cleveland Triennial for Contemporary Art announces the opening of Press and Professional accreditation and the Triennial's initial group of project highlights, which includes FRONT commissions and exhibitions that will activate unique and unconventional spaces throughout the city of Cleveland. These projects spotlight particular sites, buildings and locations in Cleveland that carry social, cultural or political significance in its history and current reality. In these unique spaces, FRONT artists will unveil a range of projects including site-specific works that engage the city’s rich identity, while allowing a broader contemplation of people and place to both residents and visitors. 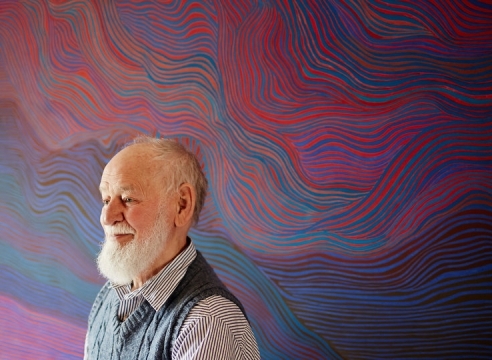 The painter Julian Stanczak died earlier this year in his hometown of Cleveland Ohio, at the age of 88. 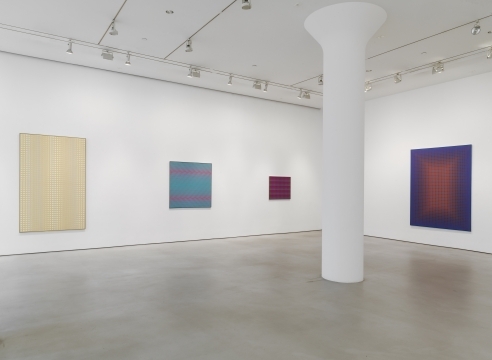 Prior to his death, Mitchell-Innes and Nash in New York had been planning what would have been the second solo exhibition at the gallery of his work. That exhibition opened on 18 May, less than two months after Stanczak passed, and it has became more than just another show. It is a celebration of the work and the life of a truly beloved and influential artist. I wanted Trespassing Light to appear effortless. I wanted to "hear" the red shout, and I am satisfied with the outcome. 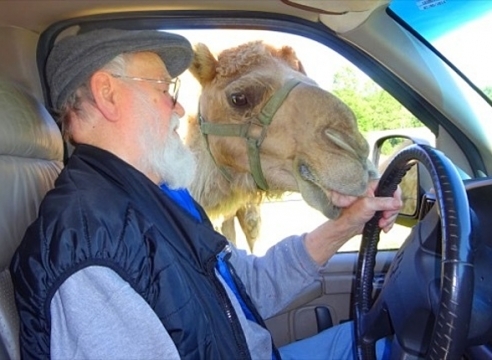 Living together for almost fifty-five years, Julian and I—and later our children, too—experienced many memorable adventures; we crossed the country by car from one national park to the next, from one unique experience to another. As I took in nature’s formations and found myself enthralled by America’s geology, Julian was registering everything within his mind’s eye. Mr. Stanczak’s art evinced a tremendous geometric inventiveness. 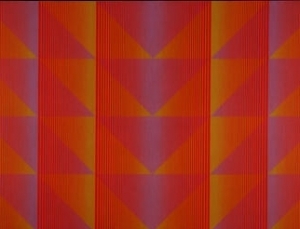 He constantly elaborated on the possibilities of parallel stripes, both straight and undulant; squares, both checkerboard and concentric; and grids, usually amplified by contrasting saturated colors. Now change has provocatively shaken up the Modern’s relatively undisturbed sanctum sanctorum: the grand permanent collection galleries, on the fourth and fifth floors, which are typically devoted to the Modern’s unparalleled holdings in the painting-and-sculpture department. The installation of these galleries has long been the closely guarded aegis of one or two top curators in the department. Now the fourth floor — devoted to works from 1940 to 1980 — has been reinstalled by a collective of 15 curators from across the museum. Another departure: MoMA’s movement-by-movement, Eurocentric vision of Modernism has been replaced with a wide-angle focus on a single decade. “From the Collection: 1960-1969,” a yearlong presentation, zeros in on the overfetishized 1960s, when art and politics were in turmoil and interacted with a new force, and tells its story with work by more than 200 artists from around 20 countries. 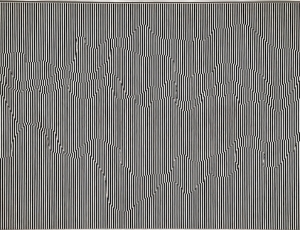 The leveling determination is more convincing when the curators select as a representative for the unmentioned Op Art movement not Bridget Riley but the overlooked innovator Julian Stanczak and his “This Duel” (1963), his jazzy star turn in undulating black and white lines. 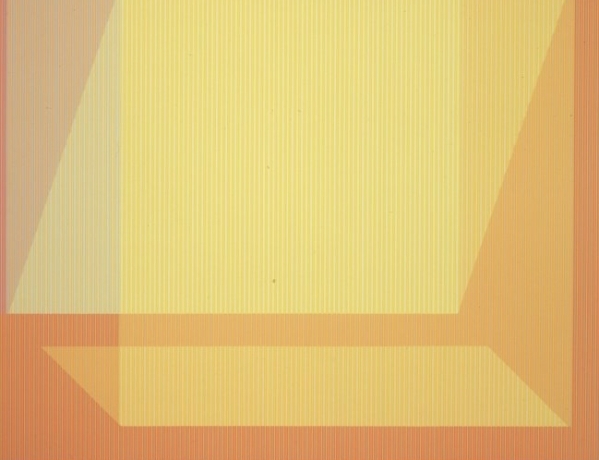 Instead of including Frank Stella as the avatar of Minimalist painting, the honor goes to Agnes Martin and Jo Baer. Since the early years of the 20th century, artists have routinely flaunted the boundary separating art from technology-from the "engineer's esthetic" embraced by Le Corbusier to Andy Warhol's famous blague, "I want to be a machine."